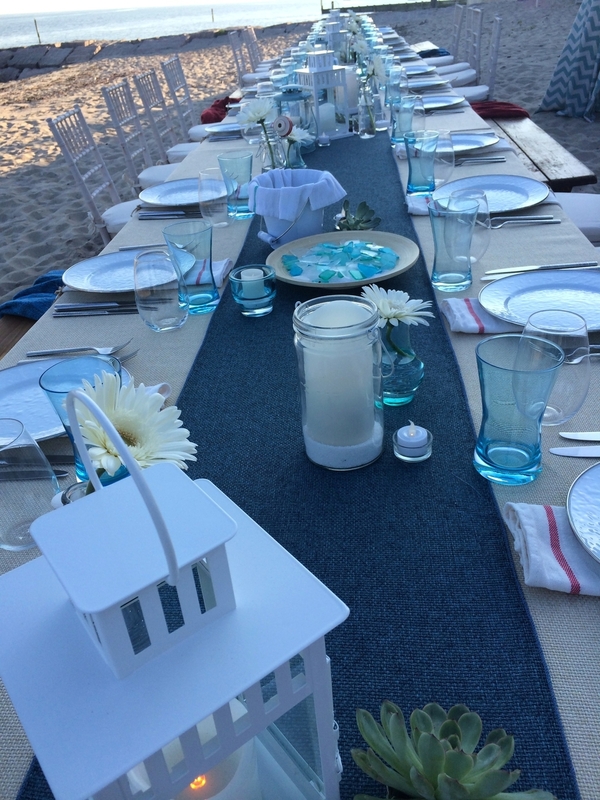 Linear tablescape of cottage style lanterns, mason jars filled with votive candles, and single blue bud vases with gerbera daisies. Dinner for 60 set with white tin ware, white and red striped bistro towels and burlap linens. Raw wood reception chairs and oakwood benches for guest seating. 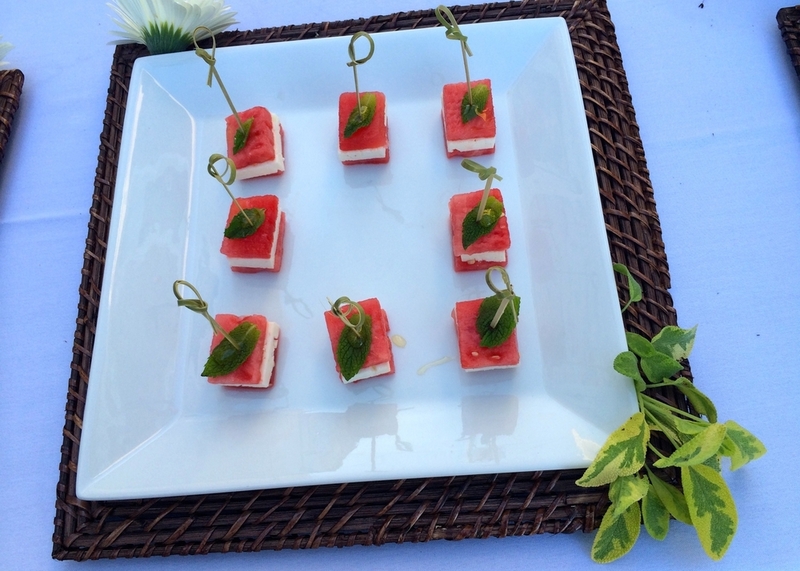 Watermelon Napoleon with feta and fresh mint with honey drizzle. Served on square rattan charger with white ceramic plate garnished with fresh mint. Provided by Gourmet Galley Catering in Stonington, CT. Platinum rimmed white tin plates with white and cherry red striped bistro towel as napkin. 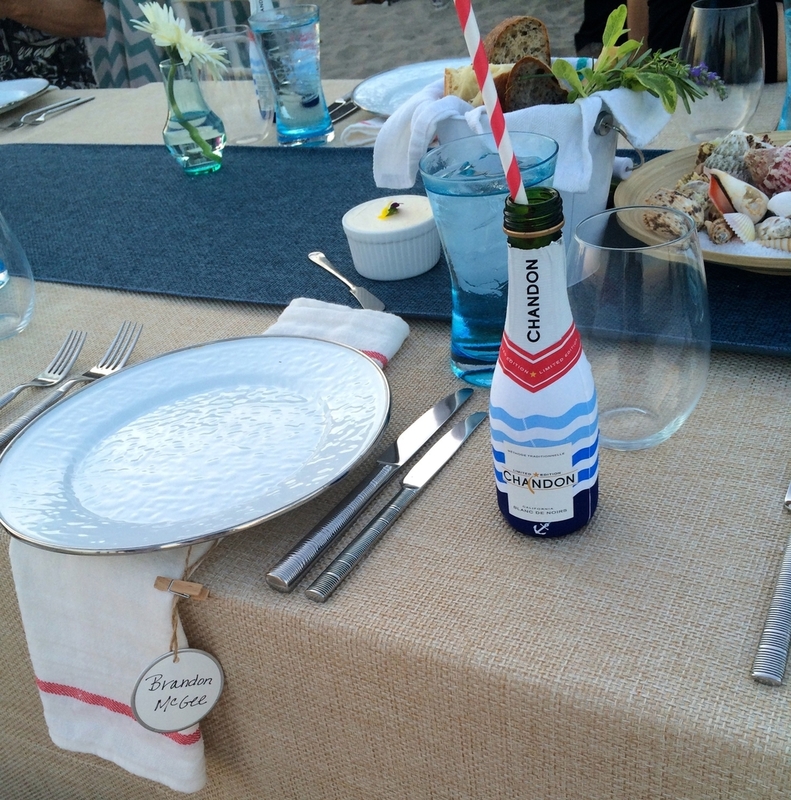 Domain Chandon served with striped straw as playful element. Limited edition Domain Chandon Blanc de Noirs was served as the specialty drink of evening.